All Sentinel Mouthguard Company Products are BPA free, Silicone free, Latex free, Phthalate free. Please see our materials pages for more details. A Dental Night Guard That Fits Great And Has A Price Tag That Makes You Smile. Premium products at a low cost, How do we do it? With a combined 30 years experience, our long standing team believes in providing you with the highest quality night guards at an affordable price. "I have pretty extensive damage from grinding my teeth for years. I’ve cracked three crowns and broken a veneer from teeth grinding. Needless to say, I should have been wearing a night guard a long time ago. Fast forward thousands of dollars later, I found Sentinel through an article online and decided to go for it. No complaints. The guard serves its purpose well. Thanks Sentinel:)"
SOFT NIGHT GUARD—Choose 1mm for light grinding, 2mm for moderate grinding and 3mm for heavy grinding. Soft and flexible! DAY GUARD—Any of our 1mm night guards can be worn for daytime use. RETAINER—Clear, thin, Essix Style Dental Retainers to keep your teeth from shifting. Is a Custom Night Guard for Teeth Grinding the Best Solution For Your Mouth? Bruxism has many negative impacts. Tooth pain, jaw pain, joint inflammation, teeth erosion and breakage are just a few of the effects of constant teeth grinding and jaw clenching. To date, there is no known cure for bruxism. The only proven relief from the effects of bruxing is to wear a well-fitted custom dental night guard. 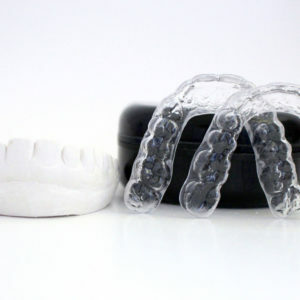 Over the counter, store bought night guards can present an array of problems including bite issues and worsened bruxism. Luckily, lab-made custom night guards are now accessible and affordable. No multiple dental office visits. No hefty price tag. And delivery right to your door! It doesn’t get much better than that. From the day you receive your product, please let us know of any dissatisfaction within 90 days. Sentinel Mouthguards will work hard to make sure you receive the right night guard type for you. This includes changing guard material type, obtaining a new dental impression if needed, changing teeth arch from upper to lower, etc. A full refund can be issued for any reason as long as you are requesting within 90 days of receiving your appliance. 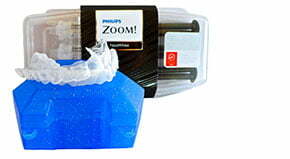 We have taken all the efforts to streamline the process of ordering your new custom fit mouthguard. Including pre-paying all the shipping. We ship to you a kit with everything you need from the moulding trays and putty, to the pre-paid packaging the return it to us. After we recieve your dental impression, we get right to work crafting a stone mould of your teeth. Once we have a stone casting of your teeth and gumline we craft a perfect mouthguard to fit your mouth. Guaranteed. Try it out! If you’re not satisfied, you can always return the Mouthguard within 90 days for a full refund. Our commitment to you is 100% satisfaction. We stand behind our products and will provide you with nothing less than our personal best from our long-standing team. 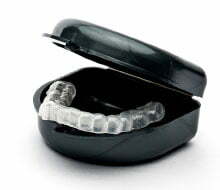 We guarantee you will love your Sentinel Mouth Guard product. If you are dissatisfied with your product for any reason, you can either contact Sentinel within 90 days for a full refund or opt to continue working with us until you get a great fitting guard.